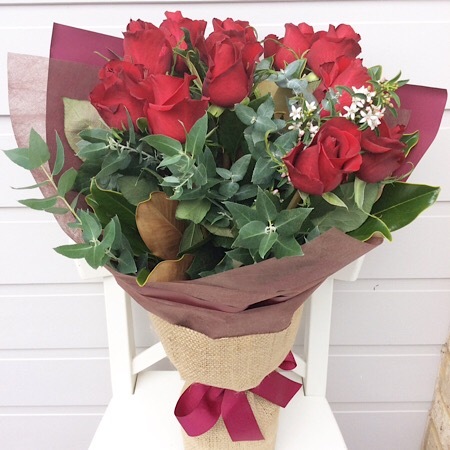 A classic hand-tied red rose bouquet. Sometimes the simple things are the best! This bouquet contains a dozen premium long stem red roses. Depending on availability we like to source beautiful locally grown blooms.